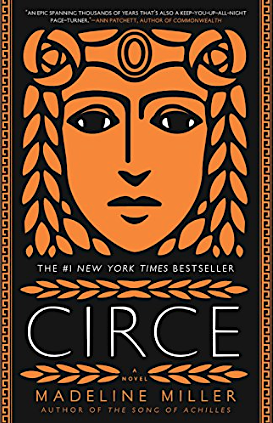 Circe, known in mythology only for her brief encounter with Odysseus, is fully realized in this inventive lush novel. A daughter of the Sun God and his alluring nymph bride, Circe is lonely as a child, too compassionate for the world of Gods. She’s also late to discover her power which is awakened only when another nymph steals her first love. Banished to an uninhabited island ostensibly for using magic to turn her rival into a monster, the reality is her witchcraft scares the mightiest Gods who fear her power might rival their own. On the island, she hones her ability taming wild beasts and crossing paths with famous figures in mythology like Hermes, the Minotaur, Daedalus and his doomed son Icarus, murderous Media and, of course, sly Odysseus. Far from a footnote, this fierce Circe turns men into pigs because they deserve it. In all honesty, I thought the premise of this book iffy, but I’m so glad I took the risk. The writing and creativity are beyond exception. The only good thing about finishing was finding she has another book titled, Song of Achilles. Yay.